We've never gotten into carving pumpkins, but ours did get a little spray paint upgrade this year! 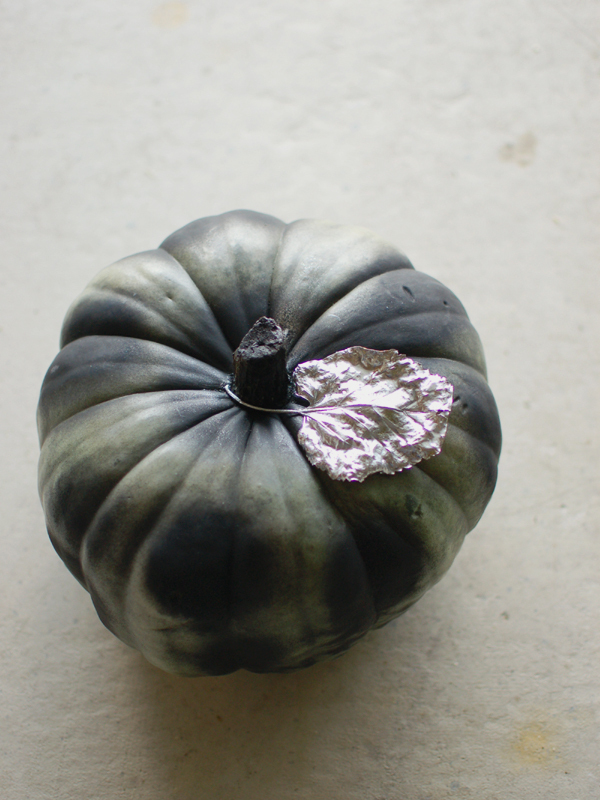 Drippy metallic on a peach gourd and spotty chalkboard black on a green one. Five minutes and done. 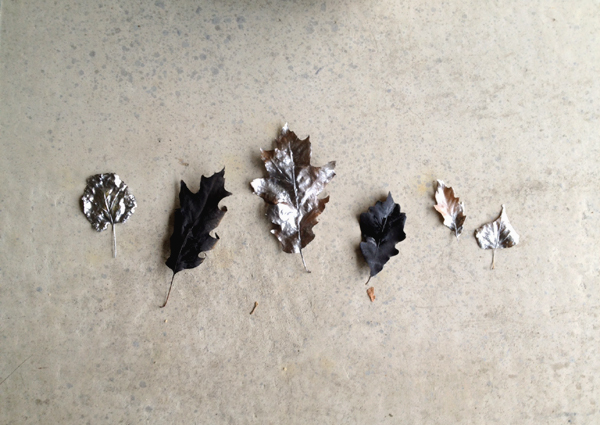 And since there were some leaves blowing into our garage, those got painted too. Their shapes looked pretty in silver and matte black. Hope you had a happy Halloween! Happy Halloween! I've never really considered spray painting them but good idea! Love the idea of spray painting leaves - so pretty! They are so pretty! Such a good job decorating these pumpkins :) I should've done it this way as well, I carved mine and they rotted in a couple days... not cute anymore after that. The metallic leaves are so pretty! Awesome job! Those are some classy looking Halloween pumpkins! I LOVE this! 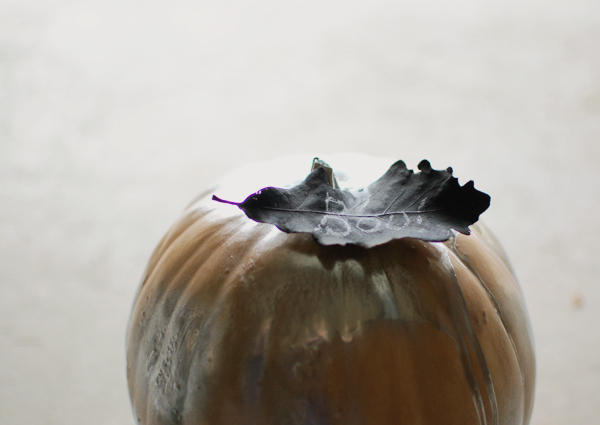 We're always so bad about getting around to carving pumpkins too. what a great idea, love the spray paint. and thank you for the sweet thoughts. I always buy pumpkins expecting to carve them, but I never do. 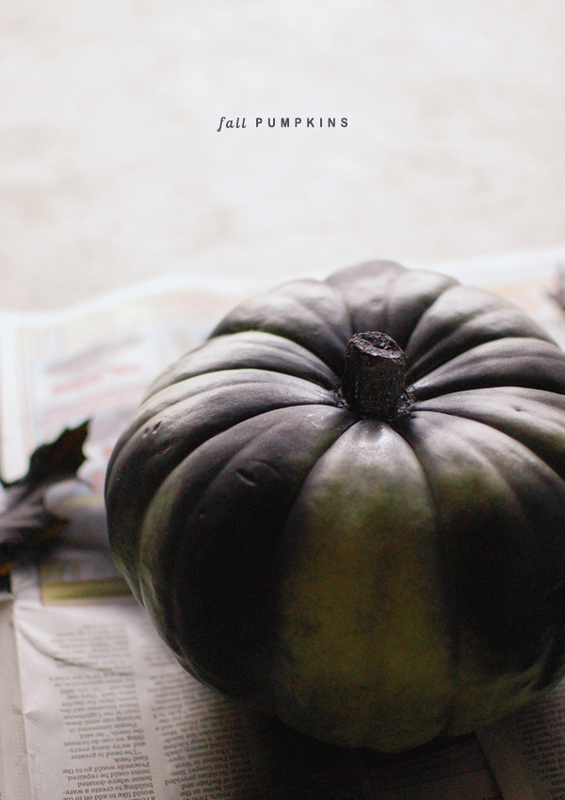 I love the look of painted and just plain old pumpkins.